JSG belongs to an elite group of staffing firms named to SIA’s lists for the past five years. SIA is the global advisor on staffing and workforce solutions. The list of Largest U.S. 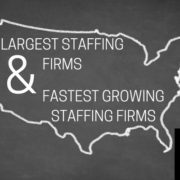 Staffing Firms consists of 143 organizations that have generated at least $100 million in U.S. staffing revenue in 2017. 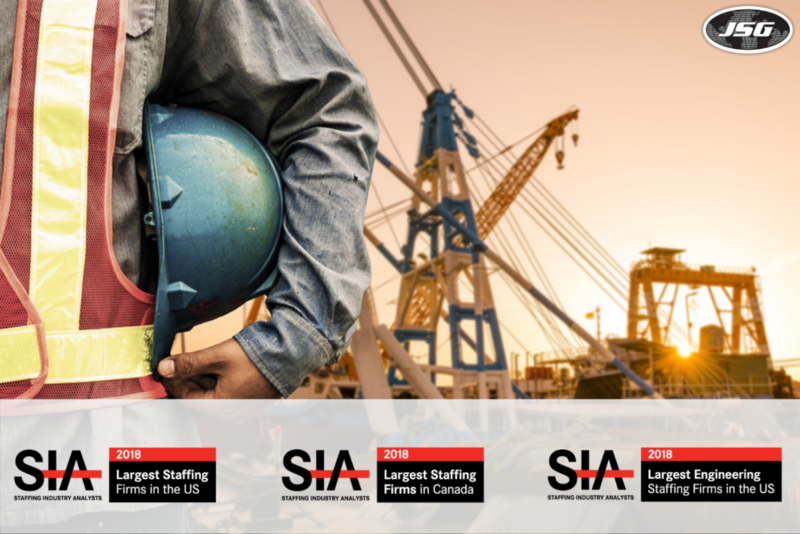 In 2018, JSG proudly emerges as the 66th largest staffing firm in the U.S.
in 2018, JSG became the 16th on SIA’s The Largest U.S. Engineering Staffing Firms out of a group of 23 U.S. Engineering temporary staffing firms. Each of these firms generated at least $50 million dollars in revenue in 2017. That is, when added together, these 23 firms generated a total of $5.3 billion in revenue last year. JSG is excited to announce that we’ve been named to a new SIA lists: the Largest Canadian Staffing Firms. JSG Professional Services ULC, the Candian division of JSG, is a world-class services organization providing client-focused staffing and technical solutions to select industries throughout Canada. 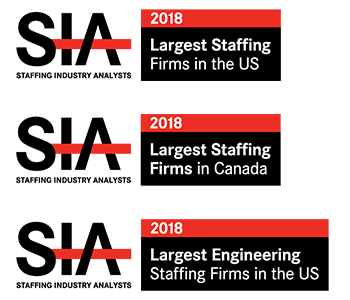 In 2018, JSG also became the 20th largest staffing firm in Canada. Our dedication to providing a superior recruiting experience has allowed us to maintain our pattern of growth and success over the years. At JSG, people are our passion. We pride ourselves in understanding your organization’s unique needs, and it’s our mission to help our clients reach their goals by being able to hire the talented people they need. For over 30 years, we’ve worked hard to establish our present position as the most effective cross-industry staffing solution available. We work hard, we work together, and we work for you. Partner with JSG today and let’s work together.